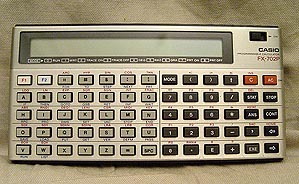 - Casio's first Basic pocket computer! Graphic display : no Text display : ? ?